Saving money is always a plus, especially while being comfortable in your own home. Be it winter or summer, the potential savings can be phenomenal. 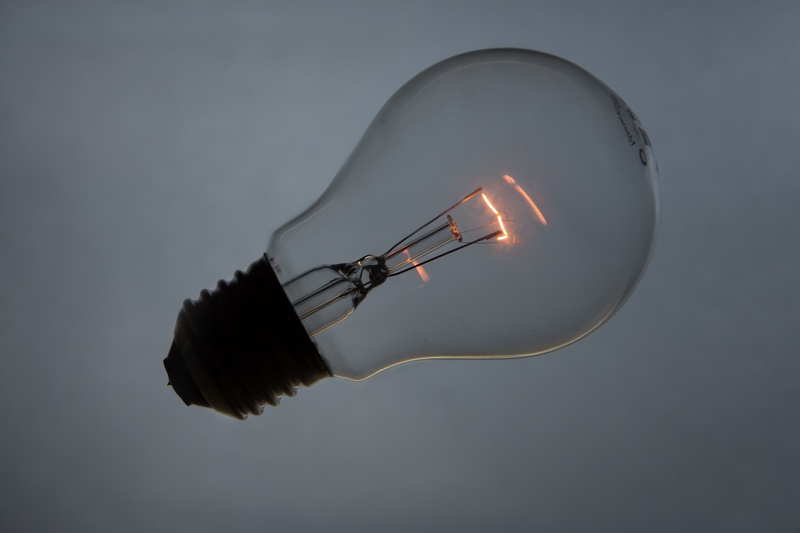 Back in August 2013, the government published Energy Saver 101 picturing a Home Energy Audit. This publication has 101 ways to be protected from high energy costs. 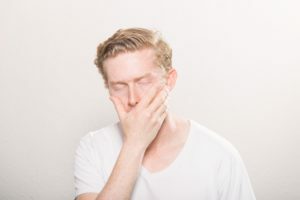 How would you feel if you came home after a long, hot summer day, only to find the air conditioner has stopped working? And, then, to be on a waiting list, as the repairman made his rounds to all the other people who also are waiting? Guessing it would make you a bit hot under the collar, wouldn’t it? (pun intended) Preventive maintenance in the springtime is a much better option… Plan ahead and Enjoy your summer! Are you finally thinking about spring cleaning? Or do you avoid the phrase all together because it is overwhelming? 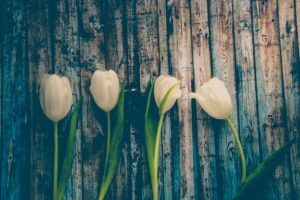 As overwhelming and stressful as spring cleaning can be it is one of the most important cleaning task lists for you as a homeowner to pay attention to. Check the exterior drainage – If you are living in the midwest checking your exterior drainage is very important as the snow begins to melt and the spring showers begin to fall. Standing water can be very harmful for you foundation. Clean out gutters – Checking your gutters and cleaning out all left over leaves from the fall and any sand or salt that may be left over from your winter snows. Cleaning out your gutters will allow to proper drainage, and will help prolong the life of your gutters. Before we know it, the warm summer weather will be here and our air conditioning systems will be working hard to keep our homes cool and comfortable. 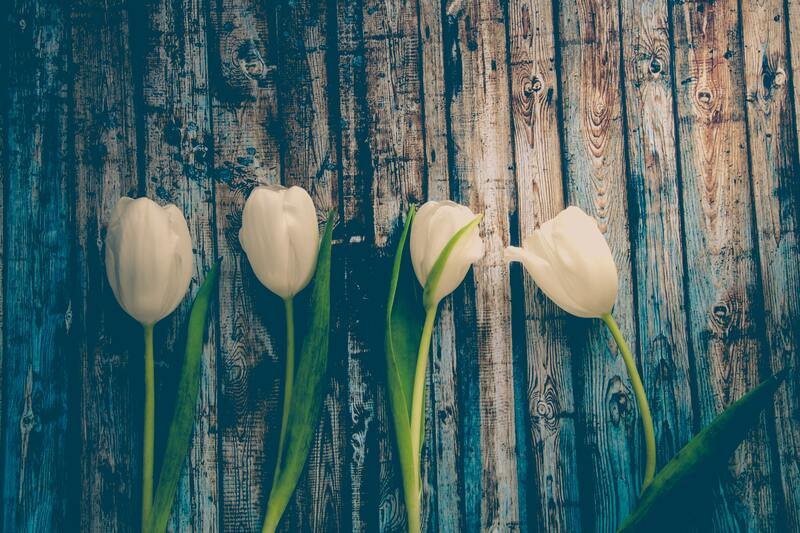 Spring is the perfect time of year to perform some routine maintenance on your HVAC system to make sure it will be running in optimal condition when we need it most – on those muggy, hot, long summer days. While some spring maintenance tasks can be handled on your own, others are best left to the professionals. Not only do you want to avoid your HVAC system breaking down during the summer, but you also want to make sure it’s running as efficiently as possible. Let’s discuss all the things you can do this spring to get your system ready for the hot months ahead. Did you just get the keys to your new home? Feeling overwhelmed by the to do list that seems to be never ending? 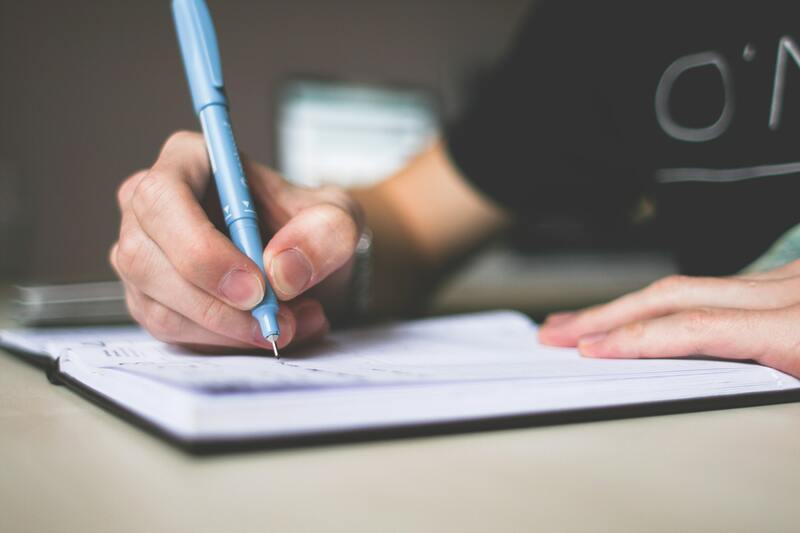 Take a few minutes to read over our new homeowners checklist; by breaking down your to do list you will most likely save yourself a few headaches. Research local utilities; gas, electric, garbage; internet/tv research their policies, does someone over the age of 18 need to be present for them to install or turn on these utilities. Also check if there are any local tax credits for using energy efficient utilities. Get you home professionally inspected; this will allow you to know your home is safe to start moving your stuff into, this may feel like a useless step in the moment but you will be thankful you did it just in case they find something wrong with your house. Sign your homeowners insurance policy; making sure that your homeowners insurance is coming for you the moment you have those keys. This will protect you God forbid in case something happen as you are moving in. Label all main utility lines; this will help if something is every wrong you know right where to look. Test heating & cooling units; this is important incase either need to be serviced prior to you moving it, no one wants a hot or cold house as they are moving in. Test washer & dryer units, as well as stoves and ovens; this is important because these are considered large appliances and if one or both is not in working order it could cause issues with the whole house. Radiant floor heat is one of the oldest forms of heating a structure, dating all the way back the Roman Empire. Radiant flooring provides numerous benefits including increased comfort, evenly distributed temperatures, cleaner air, no cold drafts, no unsightly ductwork and no floor vents. Best of all, this type of heating is quieter and more energy-efficient compared to forced-air heat. 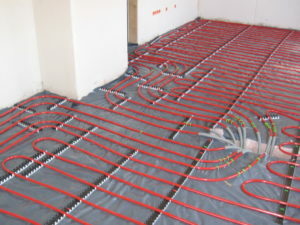 In a radiant floor heating system, warm water flows through tubes located underneath the floors. That warmth radiates up from the floors and warms everything it comes in contact with — including people. Radiant floor heating is compatible under any type of floor covering — carpet, wood, slate, tile, linoleum, and even concrete. 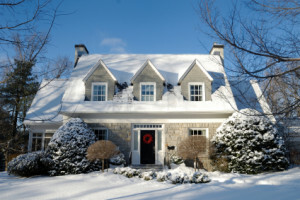 Should You Buy A Home In The Winter? 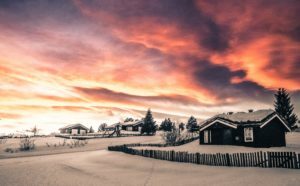 Posted by Jim Ellia on Jan 25, 2019 in Residential | Comments Off on Should You Buy A Home In The Winter? Thinking about buying a new home? Not sure what time of year you should start looking? Most people think about buying houses in the spring or summer because the weather is nice. 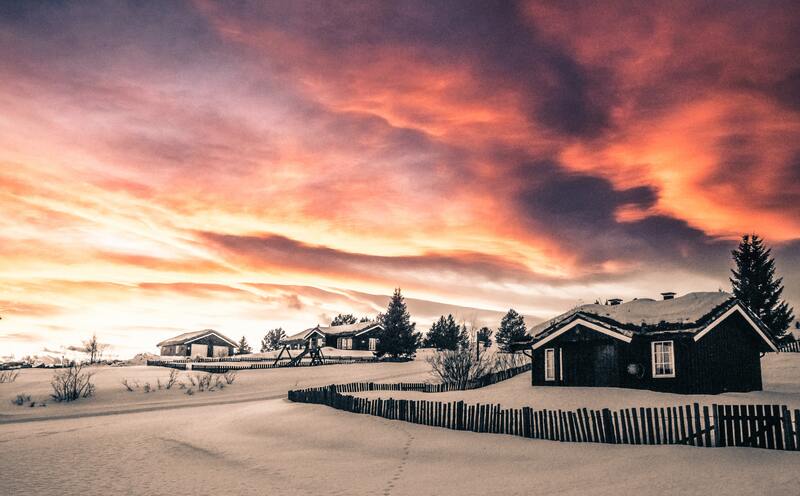 But surprisingly winter can also be a great time to buy a house if you keep these four tips in mind. Check out our tips below to find out how to find your dream home. Fewer Buyers to Compete With; with colder temperatures not as many people are willing to brave the weather to look at houses let alone move in winter. With less people looking at the houses on the market you are more likely to find the house you want and get it for your ideal price. Fewer buyers essentially means less overpriced bids, or cash offers to compete with. So putting up with the chilly temperatures may be worth it in the long run; especially if you are looking to make your budget go a long way. Sellers are Motivated; typically if a seller is selling their house in the winter months they are considered a motivated seller; this means that they are looking to close on their house quickly and may be more willing to budge on some of those changes or tweaks you would like made on the home. They might be willing to take less than what the house is listed for, leaving funds in your budget to make the changes yourself. This also typically means a quicker close date or less waiting time to get into your new house since everyone is pushing to keep the process moving. The weather is now colder, and you feel like you are constantly looking at the thermostat trying to keep the house warm without draining your bank account for the colder months. Know that you are not alone, most households have this same issue throughout the winter months. Check out our list of 8 tips to help keep you warm this winter without going broke. 1. Open your curtains. If you live in a place where the sun is shining during the winter months use that to your advantage. Sunlight brightens and warms up a room. 2. Lower your thermostat at night and when you are not home. Bumping your thermostat down 2 to 8 degrees when you are sleeping or out of the house. No need to heat a house when no one is home, and we tend to sleep better in a cooler room. If you are a cold sleeper add blankets or warmer sheets. Winter in northeast Ohio means we’re all stuck inside, and likely suffering from sneezing, coughing and other airborne illnesses. To make matters worse, we’re likely inhale stale and polluted indoor air. Toxins like benzene, formaldehyde, carbon monoxide and xylene are present in indoor air from materials such as tissues, paper towels, garbage bags and floor coverings. Fear not! There are certain plants that can help remove toxins, and give you and your family safe and fresh air. NASA has confirmed the air cleaning power of plants. 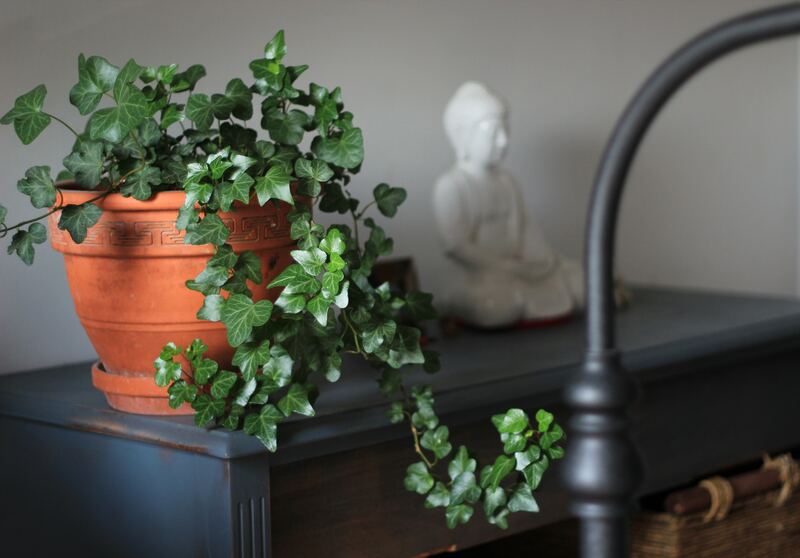 Not only do plants clean the air, but they also serve as a great way to improve your home décor. We’ve compiled a list of the 10 best indoor plants for cleaning the air in your home, along with suggestions on where in your home to place the plant. 1. Spider plant. Spider plants are great indoor air cleaners. They take in and metabolize atmosphere pollutants and use them as food, thus reducing or eliminating some toxins. They are good at removing benzene, formaldehyde, carbon monoxide and xylene, a solvent used in the leather, rubber and printing industries. 15 spider plants would purify the air of an average size house. 2. Snake plant. Also known as mother-in-laws tongue. This plant is tough to kill and can go for a month without water. Removes indoor air pollutants such as formaldehyde and carbon dioxide and give oxygen in return. Put it in your bedroom for a good night’s sleep. We’ve already experienced some winter weather here in Cleveland, and there’s sure to be more on the way. As November comes to an end, this is probably your last chance to make sure your home is winter-ready. Use our handy checklist to ensure everything is complete so you’re not surprised by any damage or repairs when spring rolls around. Prep your heating system. Forced-air furnaces and boiler systems need periodic maintenance. Make sure your system is ready for the heavy lifting it will do this winter by scheduling a check-up with a reputable heating professional. 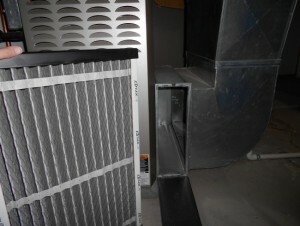 Protect your air conditioning unit. 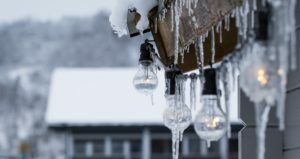 Snow and ice can cause damage to your outdoor unit. Tidy-up around the unit by removing and debris, and protect the unit with a sheet of plywood held in place with a few bricks.